Five years ago, on May 29 2009, a group of a few hundred people occupied a disused factory near the Lachine canal. Together, they hoped to reclaim this space and transform it into an Autonomous Social Centre, a building that would represent the community spirit of Pointe Saint Charles. Pointes Saint Charles is one of the oldest neighbourhoods in the borough of Le Sud Ouest in Montreal. Today, it is one of the most affected areas by gentrification in the city. An Autonomous Social Centre is different from a community centre in that it is completely separate from the state; a space created and sustained by the people, for the people. This is exactly what activists celebrated at the end of May, when they held a picnic on the banks of the Lachine Canal. We were there to talk to a few participants who have been involved since day 1, and understand their motivations. 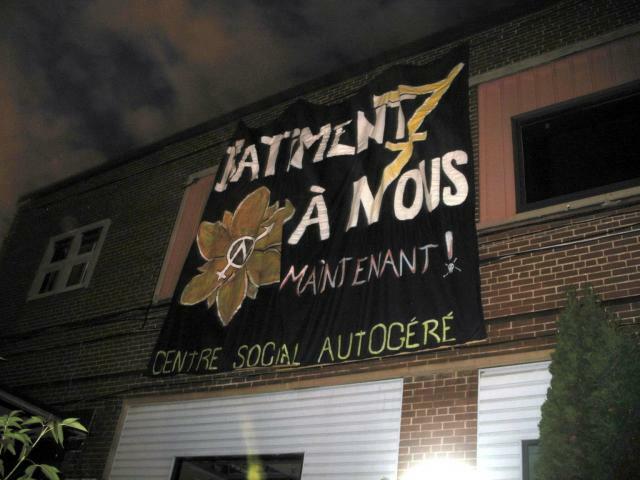 As we reached the end of the Anarchist festival in Montreal last week, let’s not forget that anti-capitalism movements are still in full-swing. CLAC, a Montreal organization that regroups several anti-capitalist movements, has been involved in the fight against capitalism for several years now. 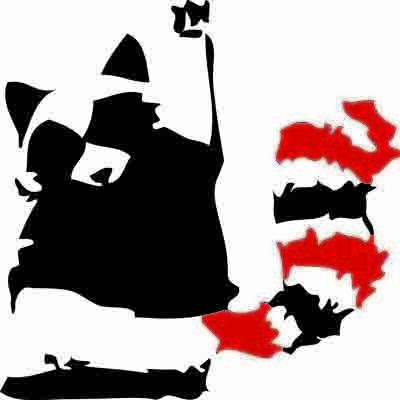 This radical left organization contests economic institutions and regularly organizes demonstrations against major international meetings such as the G8, the G20, and even the F1 Grand Prix back in 2012. CLAC organized a protest action, on June 10th, to bring attention to the problems underlying the 20th international economic forum of the Americas. What the problems can an anti-capitalist movement run into in Canada? How does the CLAC get its message across? We talked to Fred Burrill, a member of CLAC, who was at the demonstration on June 10. May 2014 marked a century since the tragic episode of the Komagata Maru, a ship that was transporting hundreds of Indian immigrants to Vancouver, British Columbia. This story reveals the Canadian government’s history of deliberate exclusion policies. 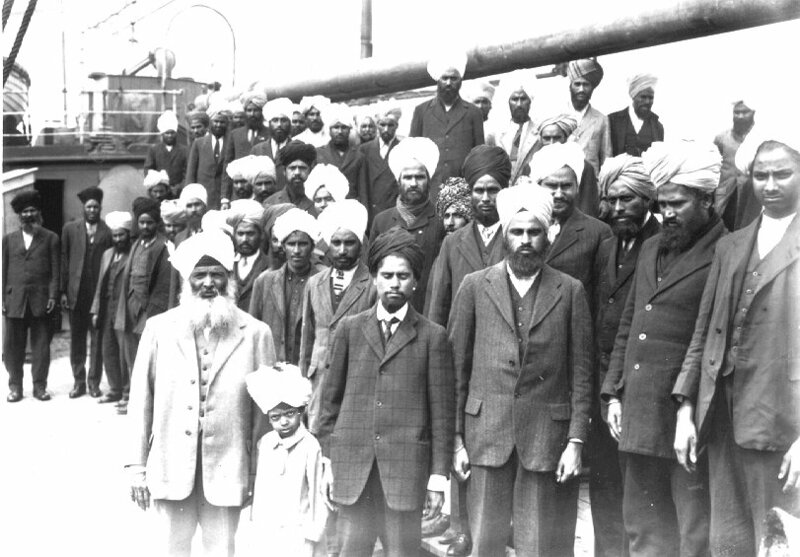 Activists in the Indian diaspora in Canada say there are many examples which show how the legacy of the Komagata Maru live on through state racism today. CKUT’s Amelie Phillipson spoke with Dolors Chew to find out more and filed this report. Canadian permanent resident Khaled Al Qazzaz has been illegally detained in Cairo, Egypt, since last year’s political upheaval on July 3rd. He is currently held in solitary confinement at Tora prison, one of the country’s most notorious jails. His Canadian born wife Sarah Attia stayed in Egypt until March, but has come back to Canada hoping to get help from the government in her husband’s case. 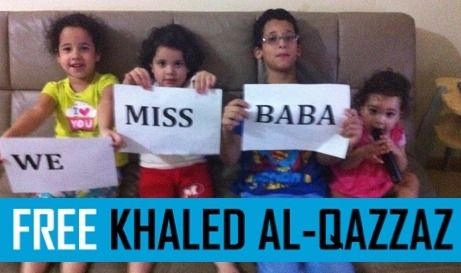 CKUT’s Amelie Phillipson spoke with Sarah to find out more about Khaled’s situation and how much help she is getting from Canada. 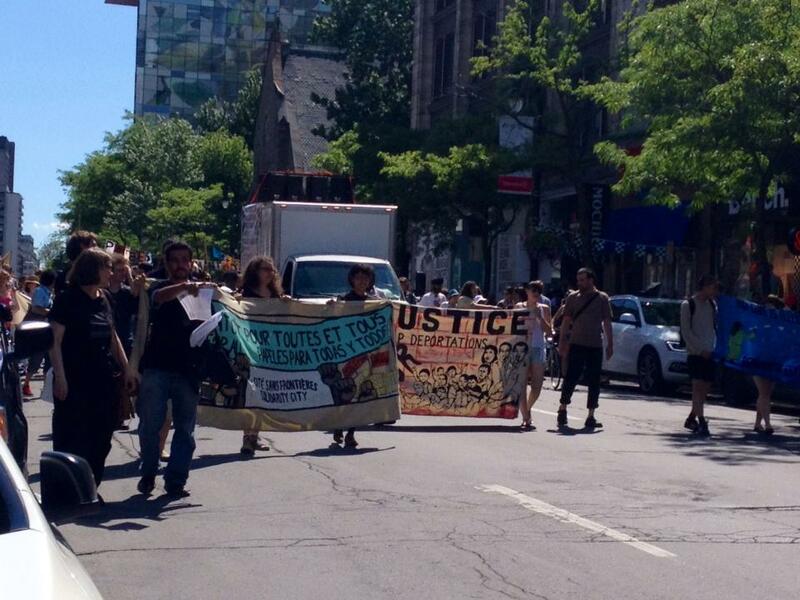 CKUT reports from the Anti-Deportation March, held on Saturday, May 7th, in downtown Montreal. The march was organized by the Status for All coalition, which stands in support of migrant and indigenous rights, and fights deportations, detentions and the double punishment. It was a part of the coalition’s “Anti-Deportation Days” being held throughout the first two weeks of June. Off the Hour’s Hailey MacKinnon brings us a short report from the march to learn more about the coalition’s fight for migrant justice. 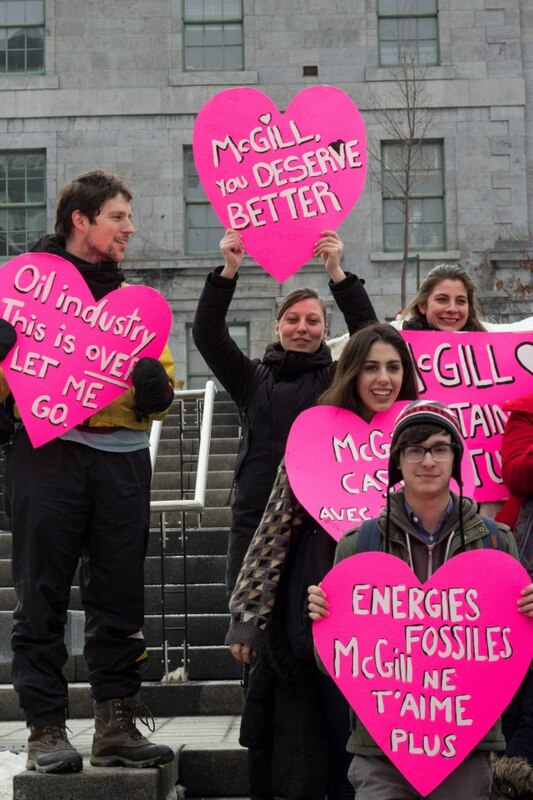 Amina Moustaqim-Barrette and other Divest McGill members during a protest in February 2014. Last Friday, May 23rd, three students and one faculty member, representing the climate justice campaign Divest McGill, met with Principal and Vice-Chancellor of McGill University Suzanne Fortier. They discussed fossil fuel divestment for the school’s endowment. The group requested this meeting in order to gain her support and a better understanding of the principal’s stance on divestment, but Ms Fortier made it clear that this issue was not on the school’s priority list. McGill University invests in 645 publicly traded corporations. Fourteen of them are involved in the tar sands, while thirty-five others are among the world’s largest fossil fuel corporations. But in the words of Divest McGill, it is not an investment if it is wrecking the planet. We talk to Amina Moustaqim-Barrette from Divest McGill and Andre Beslisle from the Association Quebecoise de Lutte Contre la Pollution Atmospherique.